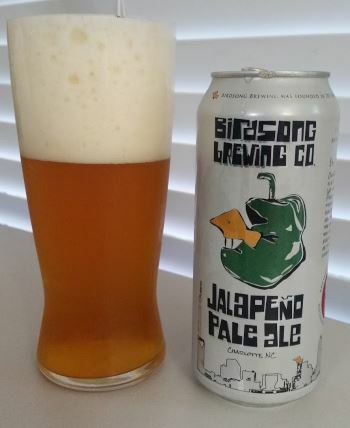 From right here in Charlotte, NC, Birdsong Brewing Co. has produced a beer styled just for me…One that’s spicy. The do remove the seeds from the fresh jalepeños they add to the brew, so it’s not burn-your-mouth-down spicy, but it’s a nice hint of heat. The beer otherwise is their Free Will Pale Ale, which is a nice malt-forward pale ale. I do remember Free Will (which I haven’t reviewed yet) having a bit of a bitter finish, but that seems to be gone here, perhaps due to the flavor of the jalepeños. A nice beer, medium bodied, and a summery 5.5% ABV. 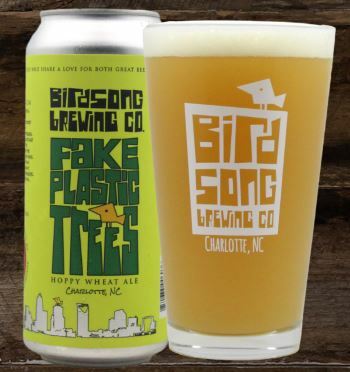 This entry was posted in Reviews and tagged Ale, American Pale Ale, Birdsong, North Carolina, Pale Ale, Spicy on June 1, 2016 by Xander.